Anwar Masood was born in Gujrat on 08 November, 1935. His father name is Muhammad Azeem and mother name is Iqbal Begum. In 1941 his family shifted to Lahore and within few years his family moved back to Gujrat. He has one son; Tariq Masood and 4 daughters. He got his early education from Lahore but completed his secondary education from Public High School Gujrat and BA from Government Zamindar College Gujrat. He passed his MA (Persian) with Gold Medal from Oriental College Lahore in 1961. Anwar Masood started his career as a teacher in Government Islamia High School Kunjah, Gujrat. He taught in various colleges of Punjab as Lecturer from 1962 to 1996. Anwar Masood is well known Pakistani Poet. He writes in Urdu, Punjabi and Persian languages. He is famous for his Punjabi comic poetry. 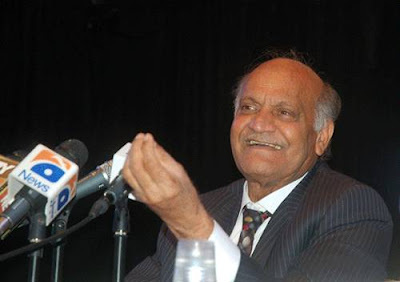 Anwar Masood is the most popular Punjabi Poet of current era. He shows true culture of Punjab in his poetry. Watch Video of Poem "Jhelum Da Pul"
Watch Video of Poem "Bunyan"
Some of his books are following.